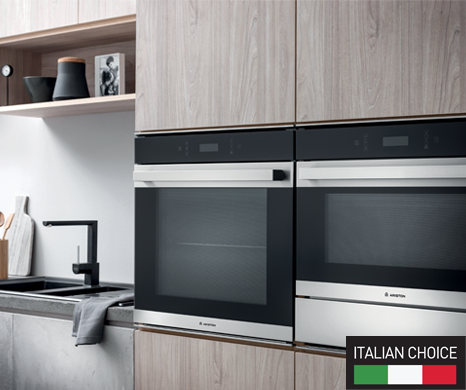 Advanced and stylish range of ovens for perfect cooking, to enhance flavor and fragrance in every recipe. Cooking is a pleasure, but cleaning the oven is a necessity. This is why Ariston ovens offer a number of cleaning programmes, making it so easy you don't have to worry about this task.